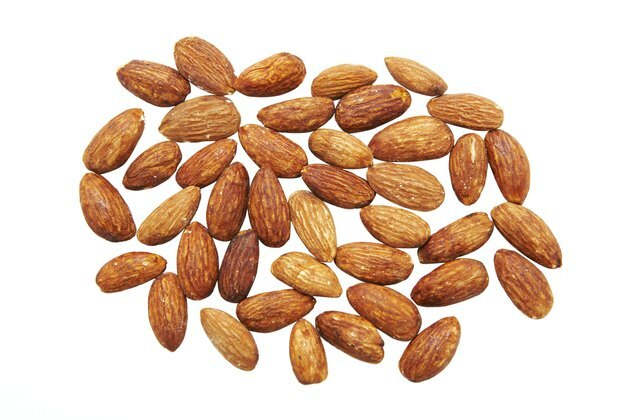 Almonds (Prunus amygdalus syn Prunus dulcis), the small deciduous trees with pink and white blossoms and healthy and tasty nuts, are winter-hardy in U.S. Department of Agriculture plant hardiness zones 7 through 9. A major commercial crop in California, almonds are grown by backyard gardeners in North Carolina. The southern state consists of six USDA hardiness zones, from 5b through 8a, with the majority of the land area in USDA zones 7a through 8a. Almond trees are hardy in those zones. In some areas of North Carolina, almonds can be harvested. Almond trees, native to warm, dry areas of western Asia, require the longest possible growing season in North Carolina in order to produce fruit. The chances for fruiting are best in the state's warmest USDA zone, 8a. The trees should be grown in full sun and never in heavy clay soil. Almonds grow 10 to 15 feet tall and wide, with an equal spread. When spacing between trees or between a tree and a structure, provide at least 7.5 feet. Water regularly, especially in the first year after planting. "Hall's Hardy" almond (Prunus dulcis "Hall's Hardy"), which thrives in USDA zones 5 through 8, is a variety suitable for all of North Carolina's growing zones. The tree's growth habit and size are comparable to those of other almond trees. A fast-grower, the Hall's variety will bear fruit in 3 to 6 years. Some varieties imported from the Ukraine feature zone hardiness similar to that of "Hall's Hardy." These include the early-fruiting "Oracle" (Prunus dulcis "Oracle"), which bears almonds in July instead of the usual early autumn, and "Bounty" (Prunus dulcis "Bounty"), which grows over 20 feet tall. While almond trees grown in North Carolina may or may not produce abundant crops of nuts, they are still valuable as ornamentals, resembling the peach trees to which they are closely related. 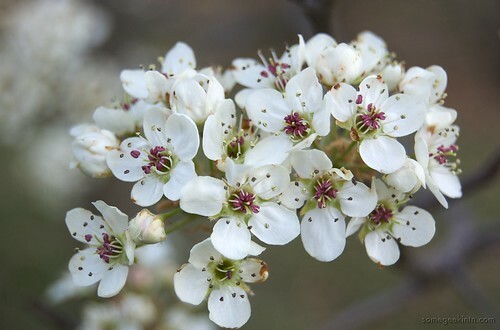 The fragrant pink and white blossoms appear in spring, making the trees a good choice for sunny positions in lawns or even as anchor trees in large flower gardens. Because almond trees attract pollinators, the species would also make a good addition to a wildlife or habitat garden. Varieties grown on dwarf rootstocks might be placed at the corners of large vegetable beds. Almond trees are not self-fertile, so at least one other almond must be grown close by for pollination and fruiting. In its native western Asia and in California, almonds thrive in a hot, low humidity environment. North Carolina's coastal areas are warm enough for almond culture, but while these areas have the sandy soil the species prefers, they can be too humid for optimal tree health and fruit production. The flower buds are susceptible to spring frost damage, which is most likely in the parts of North Carolina located in USDA zone 7a.